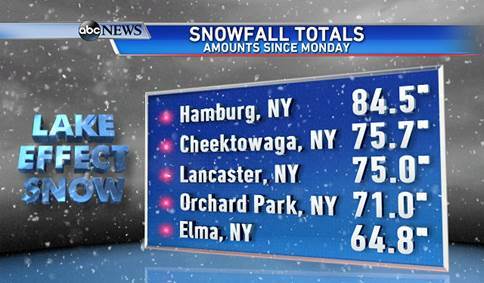 Yes, that’s right… 84.5 inches in the last 3 days. This was after the first day, when I thought it was bad but we got a break in the snow and I could venture outside. I thought it was amusing at this point, that was before we got three more feet. 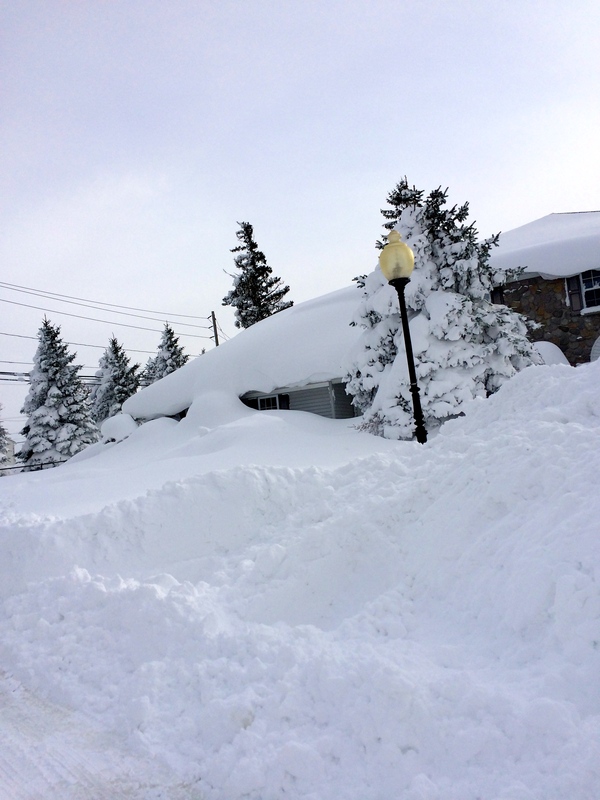 That is a HOUSE on the corner of my street, entirely swallowed up on by the snow. I made it down to the Walmart by our house, just in time for them to close and have no idea when they would be reopening… that was 3 days ago. Things have continued to get worse since then and we are hoping for some relief soon. 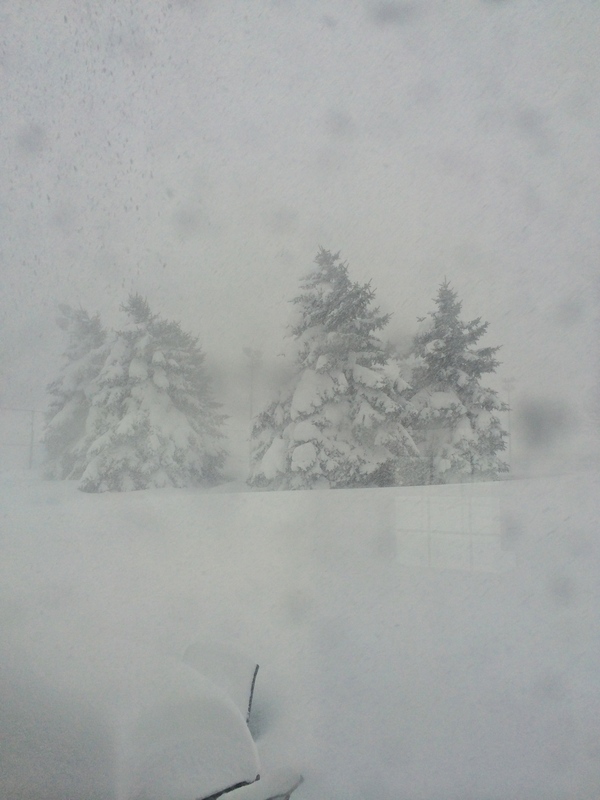 Things went from interesting to scary quick… we are on day 4 of not being able to leave our house, nothing is open around us, roofs are starting to collapse from the weight of the snow and the national guard has been called in to “help”. I put that in quotations because there have already been 10 deaths and our police department relayed that “because every town in the area has asked, we have been denied the help we need to lift the travel ban and the state of emergency”. We woke up to our carbon monoxide alarm going off early this morning… thankfully the fire department got here in minutes and cleared us with a reading. Somehow, we are going to have Thanksgiving at our house. The Bill’s game has been moved to Detroit this weekend but I will still have to go in for the television shows. Our stores have no food and no way of getting any trucks in, but somehow we will have to get our ingredients for Thanksgiving dinner. It is supposed to be 60 degrees on Monday so the flooding is supposed to be insane but somehow my parents, brother + niece are going to be coming up to spend the big day at our house. Honestly, at this point Thanksgiving is the last thing on our minds but I am hoping once we can get out this weekend we will be able to start preparing. I made these cookies last weekend in anticipation because my sugar cookies are perfect for making ahead and freezing. 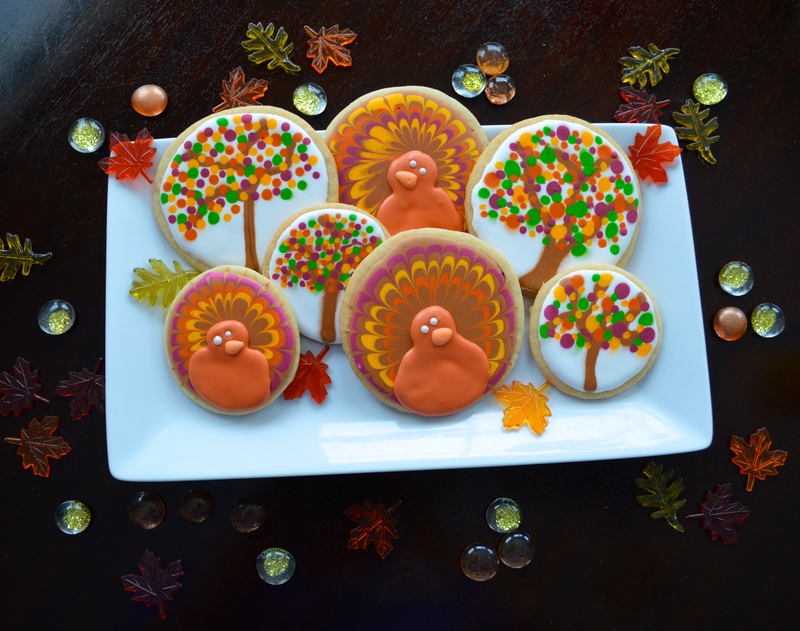 These little turkeys and trees are adorable and really pretty easy to make.. they’d make a fantastic addition to your Thanksgiving desserts. I also made a Pinterest board dedicated to all things Thanksgiving… recipes, crafts, cocktails + everything you need to prep for the big day – check it out here! Start off by baking the cookies. I use my great grandmother’s sugar cookie recipe but you can also save yourself some time and use a store bought mix! I used two different sized circle cutters for mine but you can use as many sizes as you like. I used the same 7 minute royal icing recipe as always… 1 lb confectioner’s sugar, 5 tbsp meringue powder + scant 1/2 cup of warm water beat at medium speed for 7 minutes in a mixer. For the first layer of icing you want it thin enough that it will smoothly fill in the cookie but not too thin that it will run off the cookie. 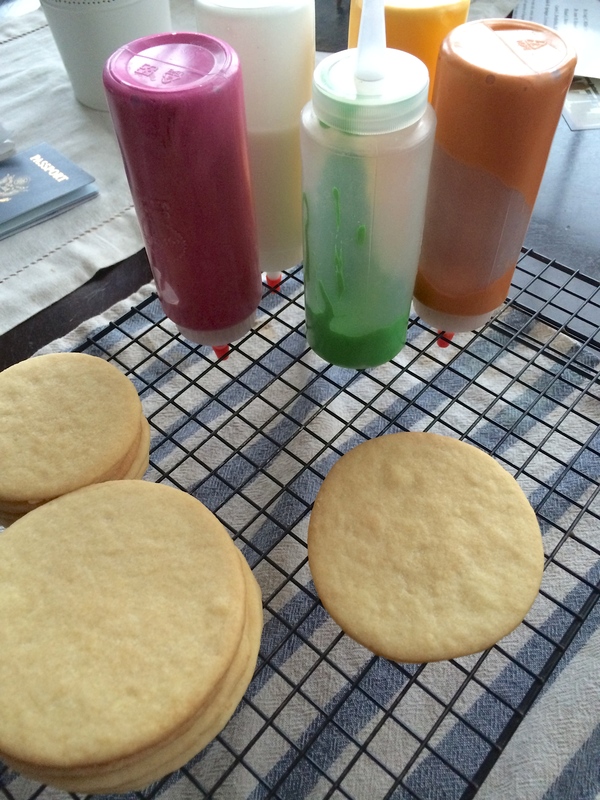 I put my icing in these little candy melt bottles and for the first layers of both cookies you will need brown, white, green, yellow, orange + burgundy. I like to use gel food coloring because it won’t change the consistency of your icing. Flood the cookie with white icing, leaving room around the edges, because once you add the “leaves” it will push everything out a little. 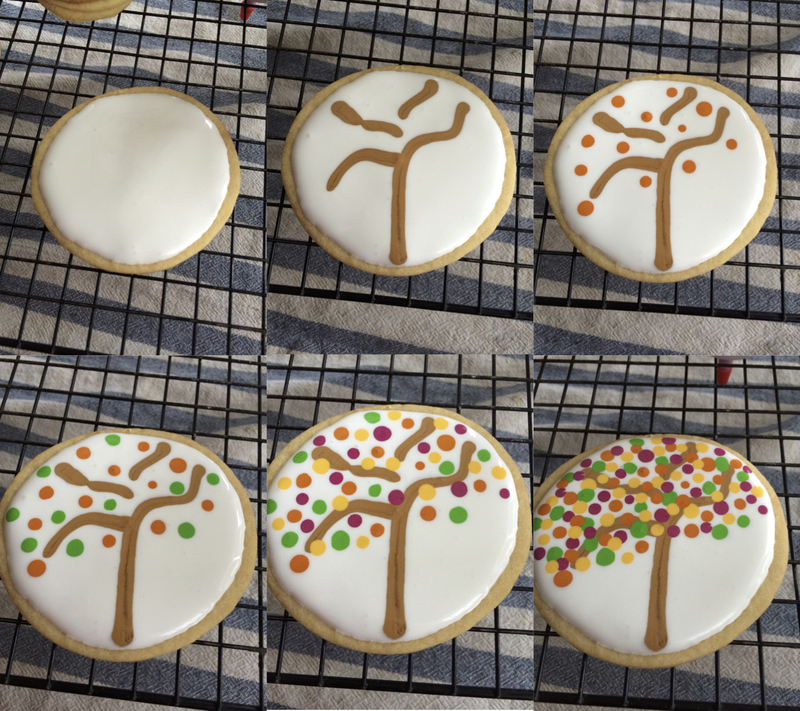 Draw the tree trunk + branches with your brown icing and then put dots all over in one color, followed by the rest. You can play around with sizes of the dots, doing some large and some smaller. 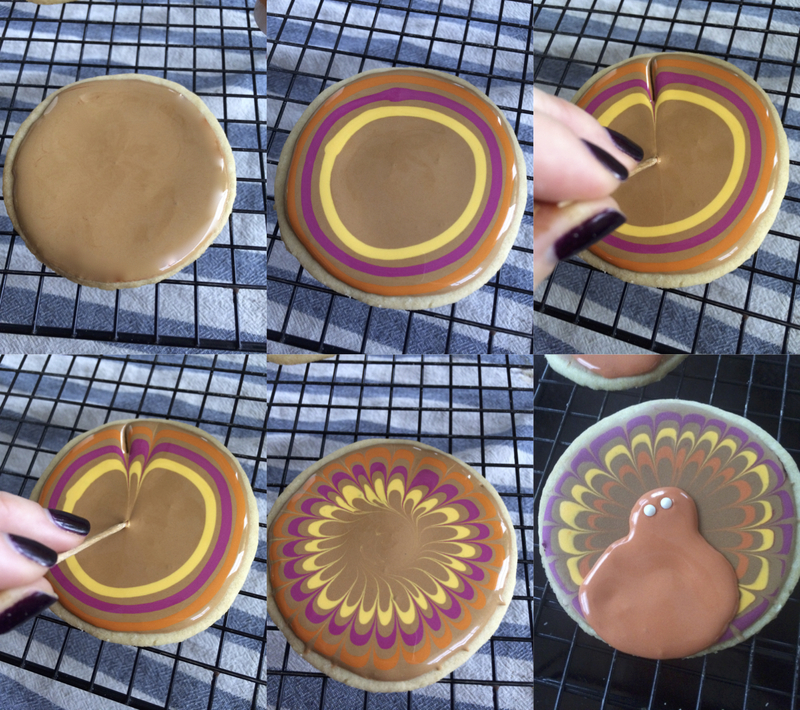 Flood your cookie with brown icing and then do three rings with the colors of your choice. Take a toothpick and drag it through the rings from the outside of the cookie towards the middle. Continue all around the cookie to make the feathers. Let that dry COMPLETELY, then draw the turkey body (a lopsided figure 8). Add two ball sprinkles for the eyes and an orange triangle for the beak! Wow! 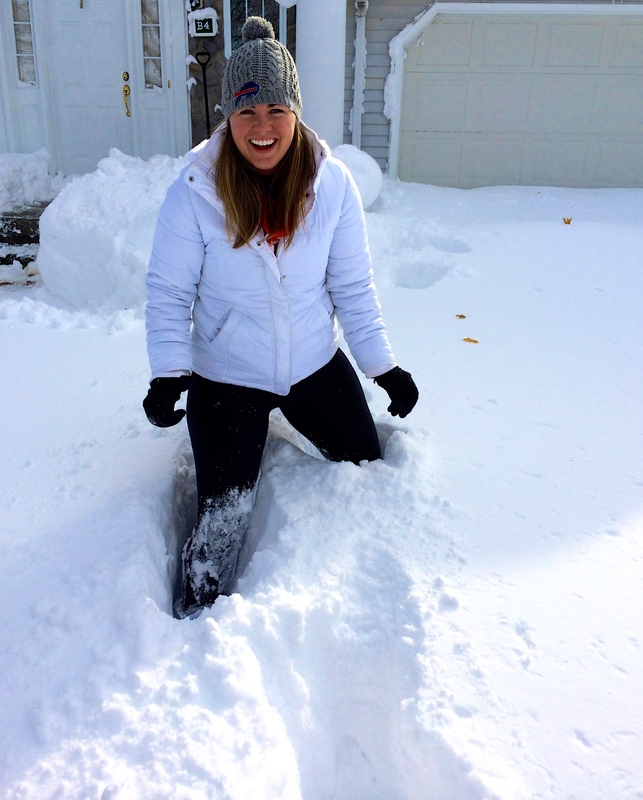 Hope you get some relief from the snow soon! Thanksgiving will work out… it always does. In the meantime, the cookies look great!! Oh my gosh! That snow is unreal! Hope you all get out of all that soon! Beautiful cookies! The cookies are adorable! I wish I had that decorating gene like you! Adorable cookies – adorable young lady 🙂 – CRAZY snow storm! Stay safe!!! Beautiful cookies! Saty warm and safe! Love the cookies! I enjoy doing cut out cookies once in awhile and really like using that kind of icing on them. I have never thought to put it in candy bottles though, such a great idea! I will have to try this the next time. Thanks Andrea! It’s such an easy way to do detail work super easily! 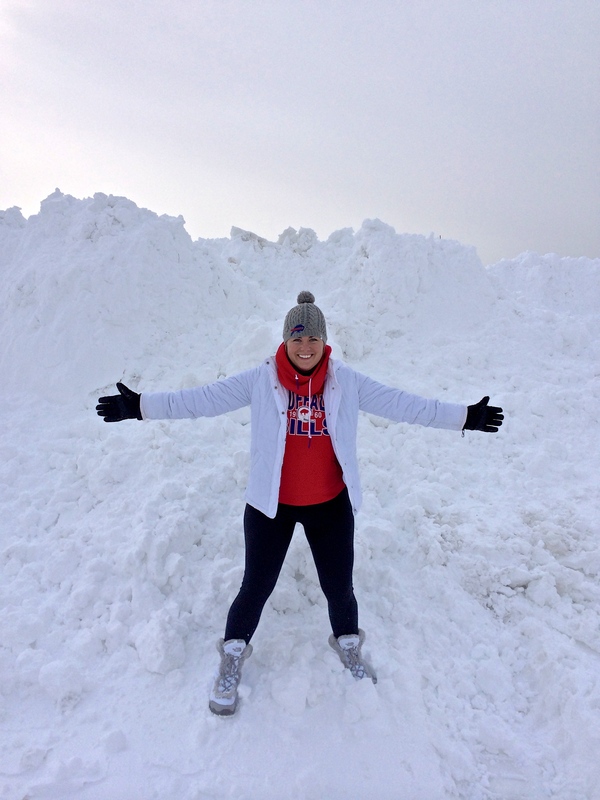 Wow, that is a lot of snow! Your cookies are beautiful. The trees are my favorite:). How artistic!